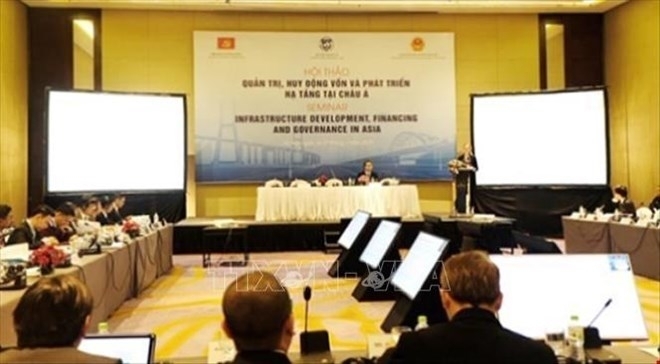 A workshop was held in Hanoi on January 16 to discuss international experiences in capital management and mobilization, and infrastructure development, as well as to seek policy recommendations for Vietnam in such fields. Opening the event, which formed part of the Vietnam Economic Forum 2019, Deputy Minister of Planning and Investment Vu Dai Thang said that the Party has defined institutions, infrastructure, and human resources as three strategic breakthroughs for Vietnam’s socio-economic development during the 2011-2020 period. He stressed the need to build a synchronous infrastructure system with a number of modern works focusing on urban transport and infrastructure. Thang pointed to four major areas in need of urgent investment, namely transport infrastructure; power supply infrastructure; irrigation infrastructure that is adaptable to climate change; and urban infrastructure. He noted that over the years, Vietnam’s basic infrastructure system has gradually been completed, meeting core socio-economic development requirements. Thang said that along with optimising State budget resources, the Government has paid great attention to mobilising private investment, especially through the public-private partnership (PPP) form. 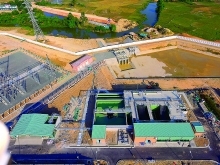 So far, Vietnam has attracted 150 projects under the PPP model, with a total investment of about 50 billion USD, helping to improve the national infrastructure system. 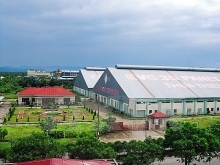 However, he held that along with the achievements, Vietnam has faced a number of difficulties, including the large investment in infrastructure compared to the scale of the economy, leading to imbalances in the macro-economy and the general development of the economy, as well as added pressure in public debt. Vietnam is now seen as a middle-income country, therefore the need for soft loans will reduce. On the other hand, institutional and administrative reforms are still a challenge for the Government to improve the investment environment and lure more social investment for infrastructure development, Thang stated. The deputy minister also underlined the necessity of seeking comprehensive solutions to the issue, especially in terms of mechanisms and policies for investment capital governance and mobilisation. At the workshop, exerts of management agencies from regional countries and international organisations shared their experiences in infrastructure reform and development, focusing especially on capital management and attraction, as well as the PPP model and restructuring the infrastructure management system.